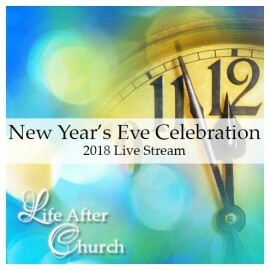 This is our annual family time broadcast where we savor the previous year and lean into the treasures of the coming year. Cost includes 428 days of access after purchase date. 2018 was the year of the big move. Arthur savored the expected dynamics of the move as well as the surprises. Then there was a look forward with the new internship program, the new Sapphire Training Center online school and the annual Bible study intensive which will be on the seven principles. We ended with Holy Communion as always, celebrating the gifts of God by faith, and the fact that we have a trust relationship with Him – trusting Him to give us bigger gifts than we would ask for, for ourselves. Transitions are a volatile time. Some of the biggest breaking takes place during bad transitions. And some of the biggest gifts come to us during transitions. This exploration of the transition from California to South Carolina was immense. So were the unexpected gifts that came.